baby&me From Day One Baby Lotion provides long-term care and moistening of your baby from the day of your baby. Baby Lotion 300 ml, specially developed for your baby's sensitive skin, nourishes and softens the skin with its rich content. Glycerin, Aloe Vera Extract, Vitamin B5 and Vitamin E help protect the skin barrier, provides long-term moisture balance. Did you know that you will protect your baby's sensitive skin from irritation? We want to underline this knowledge due to our philosophy of babyology. Does not contain preservatives, Paraben, Phenoxyethanol, Alcohol, Perfume, Allergy and Colorants. 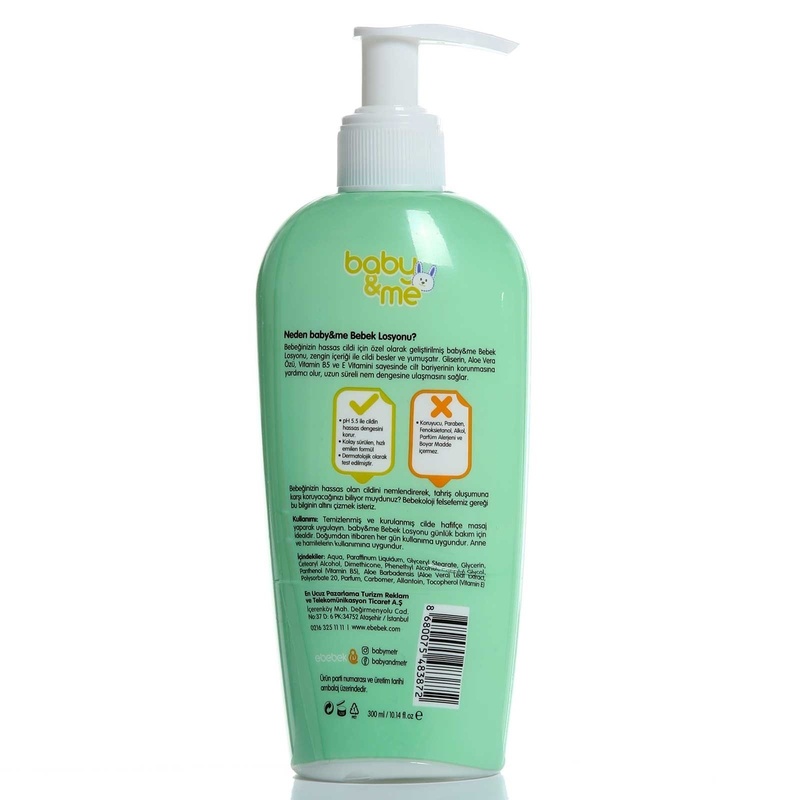 It maintains the delicate balance of the skin with pH 5.5.
baby & me Baby Lotion is ideal for daily care. Suitable for daily use from birth. Suitable for mother and pregnant women. Is it suitable for daily care? - Suitable. Should I apply baby oil or baby lotion first? - We recommend applying the baby lotion first.